Cuverville Island, Antarctic Peninsula. 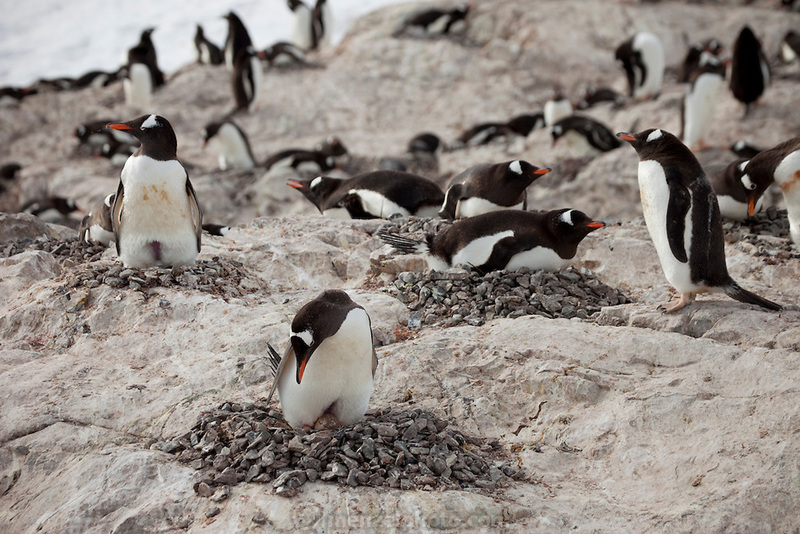 Nesting pairs on the Gentoo penguin colony on the island tend their eggs and chicks. They have to be vigilant to ward off skua birds that try to eat the eggs and chicks..